N0 (1) Is GOD is GOD alone (undivided) Who can disagree with that? Compare both to what you have learned and have been taught. The only differences on This Particular Subject are man made Theologies or views of the Subject. YOU can start wilh Jesus’ own words at John 4-20-26- Heb 8:6-SGW MUST. Open What does this image mean? And Compare Jehovah –Or- Yahweh-& Blotting Out Gods Name. 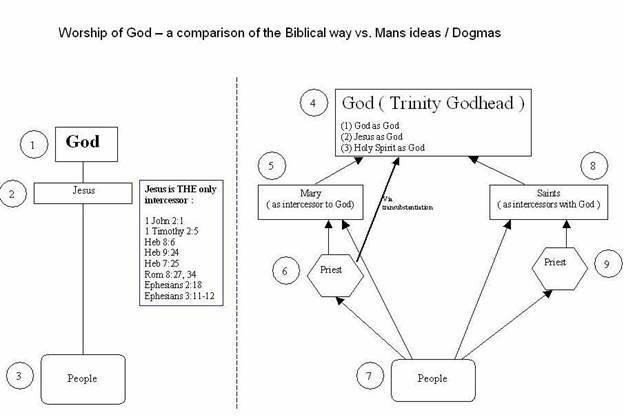 illustrates that God is God alone and completely disproves a trinity. See http://simplebibletruths.net/AllManuscriptsWereWrittenInAllCaps.htm to understand how the NT was written usually in capital letters. MEANING of the Koine Greek as well, and we still find that John-1-1c is translated “a god was the word”. See http://simplebibletruths.net/GODorgod.htm for demonstrated links between John 1:1 and how Coptic copies of the Bible clearly illustrates that God is God alone and completely disproves a trinity. When reading about the Coptic scriptures , we realize these texts were in existence in 200-300AD, some time before the Nicene Council came to be in 325 AD. This shows that not only did the Coptics understand Greek, but they translated the MEANING of the Koine Greek as well, and we still find that John 1:1c is translated “a god was the word”. See http://simplebibletruths.net/CopticsPlus.htm for a great read. "For you know that it was not with perishable things such as silver or gold that you were redeemed from the empty way of life handed down to you from your forefathers, but with the precious blood of Christ, a lamb without blemish or defect. He was chosen before the creation of the world, but was revealed in these last times for your sake" (1 Peter 1:18-20). humans ( human priests ) cannot forgive sins – only God can do that. SO HELP US ALL Y.eH.oW.aH in English Jehovah Jehovah Or Yahweh Blotting Out Gods Name. FoundingOfTheWorld.htm -Best Bible Dictionaries PLUS.htm and Compare 1.htm-- T/O ‘s stands for The Trinity and Oneness Movement. Testing Your Favorite Bibles—For Blotting Out Gods Name. Please share it with us Write the librarian@simplebibletruths.net so we can add it to the Library.